The head of Canada Mortgage and Housing Corp. said the Crown corporation is continuing with plans to have banks take on more risk when it comes to the housing market. “In the insured market all of the risk is on CMHC’s balanced sheet or 90% on the government’s balanced sheet through private sector competitors. 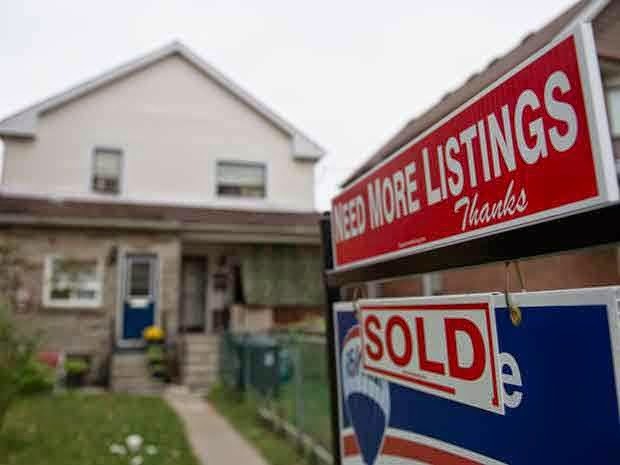 The government wants to reduce its exposure to the housing market,” Evan Siddall, president of Canada Mortgage and Housing Corp. told the Canadian Club in Toronto in what was billed as a “conversation” with Terry Campbell, president of the Canadian Bankers Association. Mr. Siddall said the government has asked CMHC to look at options and advise it on what to do next.